Dr. Ruben D. Cuellar earned his dental degree in Bolivia at Universidad Mayor de San Simon Cochabamba as well as completed an Advanced Education in General Dentistry Residency at Howard University. He is a member of numerous prestigious organizations including the American Dental Association, Virginia Dental Association, and the Northern Virginia Dental Society . Away from the office, Dr. Cuellar enjoys playing volleyball, soccer, racquetball, and singing at church. Dr. Cuellar considers himself very fortunate for the opportunity to have studied and completed his degree in the United States. 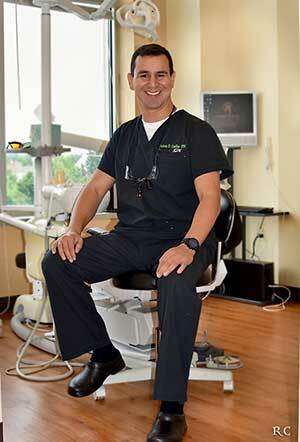 He has fulfilled his dream of becoming a practicing dentist serving the community in Virginia. To show his appreciation Dr. Cuellar provides free services to community programs such as (MOM) Mission Of Mercy and mission trips in Bolivia to provide dental care to children in rural villages who do not have access to even basic dental services.